What we commonly refer to as being “sick” are actually intelligent responses on the part of your body to rid itself of microorganisms. 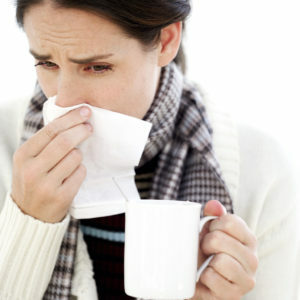 Your immune system is spread throughout your entire body through nearly every tissue and organ. The activity of your immune system is so widespread throughout your body that some immune researchers have said that it may be best described as the “immune response.” And in fact, the symptoms many people think of as being caused by bacteria or viruses are actually the activity of your immune system itself. When your body mounts an immune response, it is actively responding to what it senses as a foreign invader. When immune cells, known as mast cells, are stimulated by an irritant such as dust or pollen, they release a chemical called histamine. You may have heard of histamine because there are so many anti-histamine drugs available. While histamine is one of the most targeted chemicals in the body by the activity of drugs, it is actually a key player in a healthy immune response. Histamine activates a series of protective activities to handle unwanted irritants or microbes. To bring a greater number of immune cells into an area, histamine increases the fluid flow through the tissue. Think of runny noses and watery eyes, for example. Histamine is also the initiator of your sneeze reflex. This series of steps is the intelligent response of your body to remove unwanted microorganisms or irritants from these areas. This release of histamine is one of the most commonly interfered activities of your body by the use of drugs. But what is actually more intelligent? Allowing your body to isolate and expel unwanted invaders through its natural immune responses? Or taking a drug that prevents your body from performing basic housekeeping that removes offenders? It turns out that interfering with another common immune response – lowering a fever – can actually prolong an illness. Fever is another intelligent immune response your body makes happen when it is fighting something. The activity of every biochemical reaction inside your body is dependent on temperature. It turns out that at higher temperatures, many processes occur more quickly inside your body. Again, rather than microorganisms causing a fever, the fever is your body’s intelligent response to protect itself. Your brain has an area called the hypothalamus that controls the temperature of your body. To create a fever, your body produces molecules that tell your brain to literally “turn up the thermostat.” Your body can turn raise the temperature as high as 105 degrees without ill effects. By increasing the temperature a few degrees, your body can more efficiently destroy invaders. By understanding this, you can see why people with influenza who use drugs to lower fever can actually be sick longer than those who let their bodies’ natural immune response work. A study in the journal Pharmacotherapy found that people who lowered their fever with aspirin or acetaminophen actually experienced the flu for several days longer. Your body is brilliant! Allow it to do its job!